DEEP EAST TEXAS (KTRE) - Warm, southerly winds will keep our warming trend going in the next 24 to 48 hours. The south winds will be rather breezy, with speeds on the order of 15 to 20 mph at times. Tuesday will be another nice day as southerly winds lead to highs in the lower 80′s under partly sunny skies. 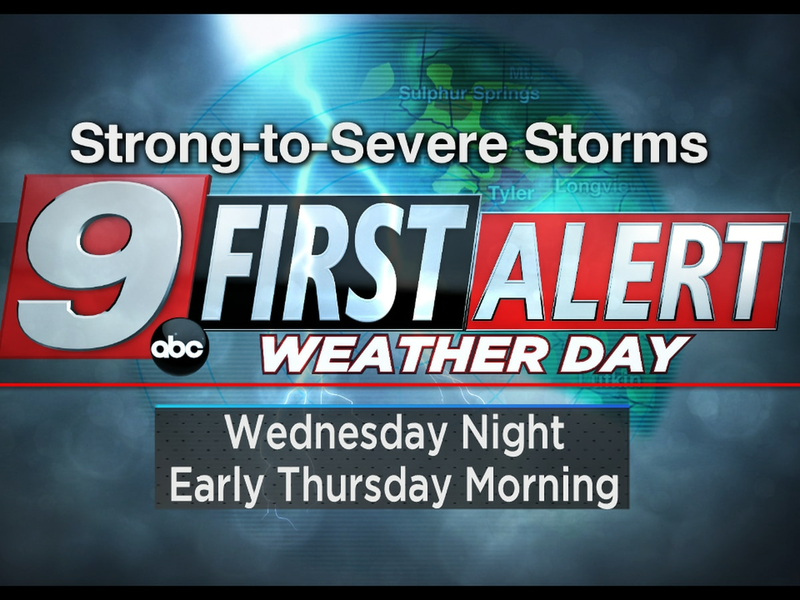 Our attention will then turn to a potent storm system moving in late Wednesday night and early Thursday morning. Along the cold front, we will see widespread rain and thunderstorms, some of which could be severe when it sweeps through the Piney Woods. 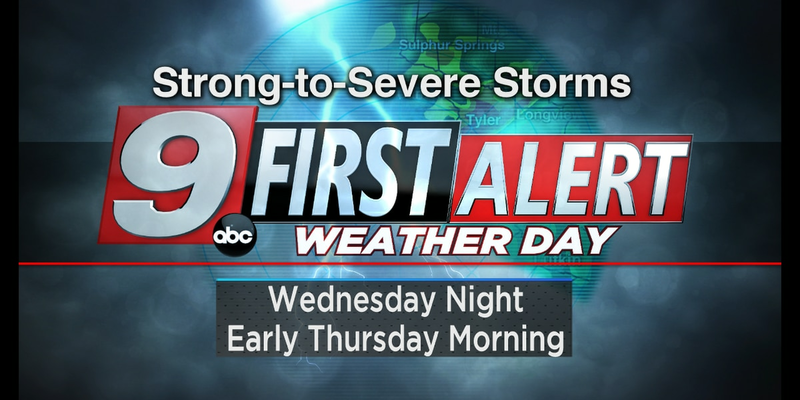 With our threat for severe weather possible throughout Deep East Texas, we have declared the time frame from Wednesday night through early Thursday morning a First Alert Weather Day. The potential for strong-to-severe thunderstorms will exist, with all modes of severe weather in play. This includes the possibility of large hail, damaging winds, and isolated tornadoes. Rainfall amounts could reach one inch before the storms move out late on Thursday morning. High pressure building in behind this frontal boundary will lead to some fantastic weather for the end of the week and will continue right through the weekend as cool mornings give way to mild afternoons under sun-filled skies.